China has confirmed that it shut down the Nathu La pass in Sikkim and denied entry to Kailash Mansoravar (located in Tibet) pilgrims because of an on-going stand-off between troops at the border and on account of “security reasons”. 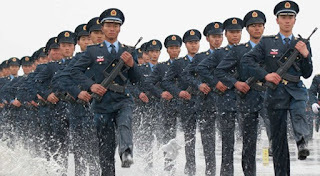 Indian reports said the People’s Liberation Army had crossed the border into Indian territory and destroyed bunkers, while the PLA late on Monday accused India of “provoking trouble” at the border by reportedly stopping a Chinese road construction. Early on Tuesday, the Chinese Foreign Ministry has confirmed that it was this border incident that led to Nathu La’s closure. The first batch of 47 pilgrims were denied entry between June 19 and 23 at Nathu La, a second route for the Kailash Mansarovar yatra that was opened only in 2015. Pilgrims have, however, so far been allowed through the older route in Lipulkeh, Uttarakhand, through which 1,080 of the total 1,430 pilgrims are expected to travel. “At the same time, in view of the above events, for security reasons, the Chinese side had to suspend the arrangement of the Indian official pilgrimage group through the Sino-Indian border at Nathu La pass, Sikkim, into the pilgrimage, and through diplomatic channels informed the Indian side,” the statement added. The Foreign Ministry statement said the India-China border at Sikkim “had been delineated by the 1890 Sino-British Treaty on Tibetan Customs”. On Monday, the PLA slammed India for “unilaterally provoking trouble” amid an on-going face-off between the two militaries. Both sides have been in a stand-off after a confrontation over a road project. Reports said the PLA crossed into Indian territory and destroyed two bunkers in the Doka La region in Sikkim.